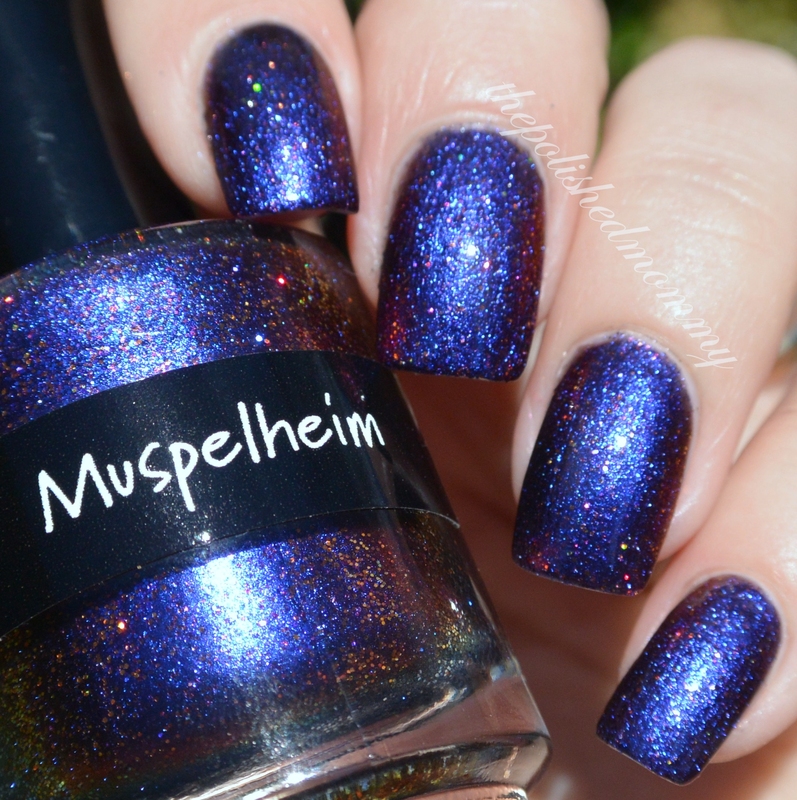 Today I have a swatch of CrowToes Muspelheim, this is the last of the colors I picked up from the 9 Realms collection. 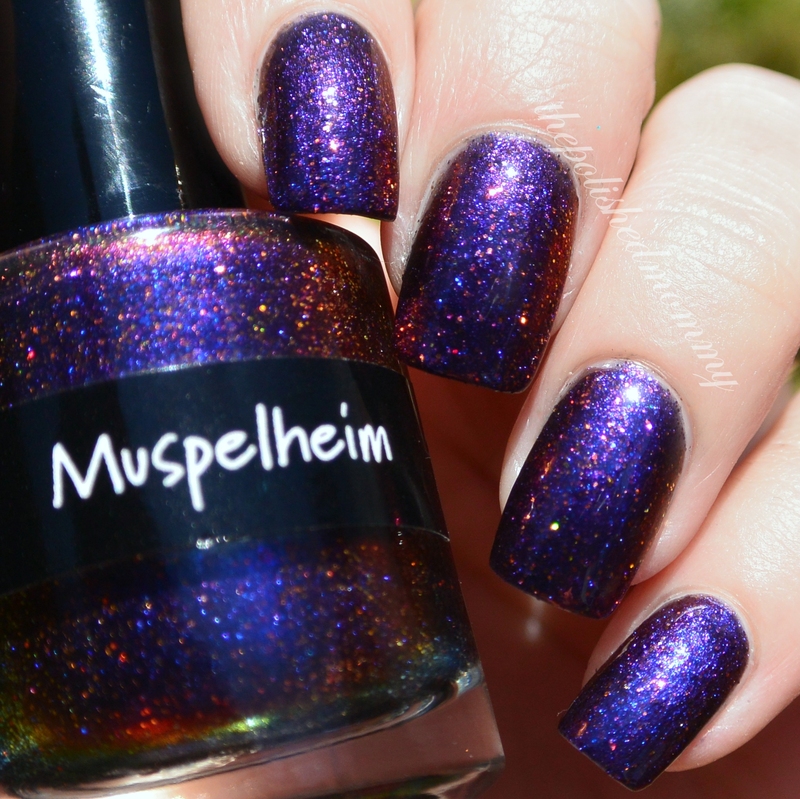 CrowsToes Muspelheim has a base that shift from blurple, to purple, to pink. It is also loaded with color shifting micro glitters that add even more sparkle and dimension. I debated on getting this one because I wasn’t sure if i would like the glitter added to the multichrome, but I’m really glad I decided to get it because it so pretty (and even prettier in person!). Price: This color retails for $13 on llarowe.com.